First off, god bless America and god bless the men and women who served in our military. Second, I’m keeping this short as there are frothy ales to be had and meats to be cooked. So, without further adieu, I present to you: the best damned hamburger you’ll ever have in your life. 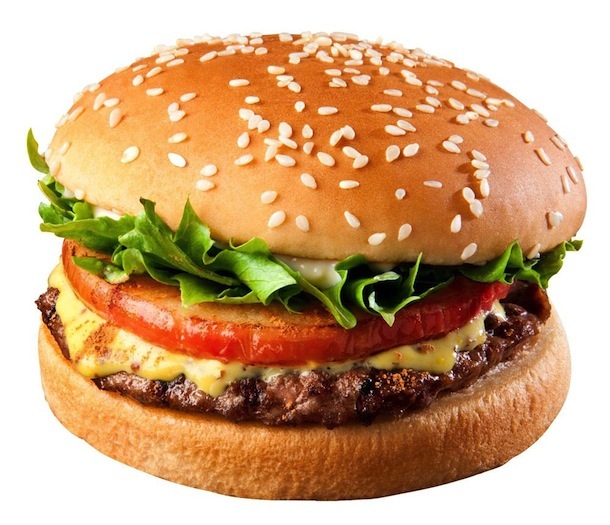 This is NOT the greatest burger in the world. This is just a (very generic) tribute. 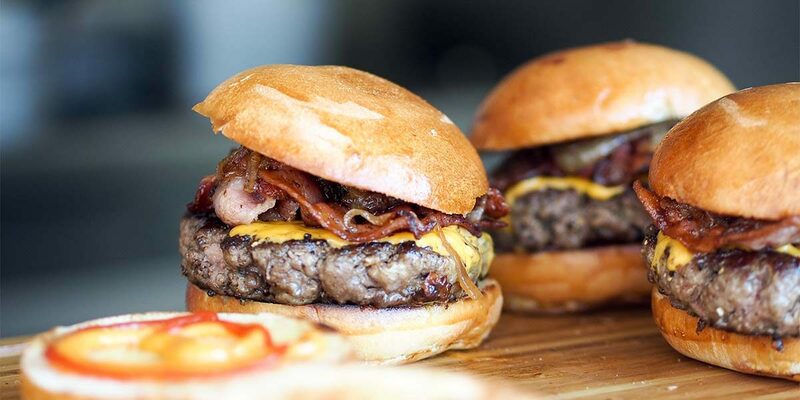 This burger is not for the faint of heart, or the clogged of artery. It is also a bit unorthodox, as it is created inside one’s abode. Of course, charcoal is a different (and beauteous) beast. However, when the summer season hangs hot and sweaty upon your brow, you’ll be glad to be cooking these amidst the blessing of air conditioning. 2 pounds of sirloin steak tips. Do not mince. Pulse until chunky and then spread on a cookie sheet. Form patties, roughly ½ pound each. We let meat rest so that we may rest ourselves. Now, get a cast iron skillet and place that sucker over a medium-high flame. Once smokingly hot, sear patties on both sides. Then place in an oven at 300˚ until done (about 130˚ in the middle, according to your meat thermometer). What, you’ve never used a meat thermometer for burgers? Holy St. Anthony! * I’m pouring myself another Coors yellow belly. 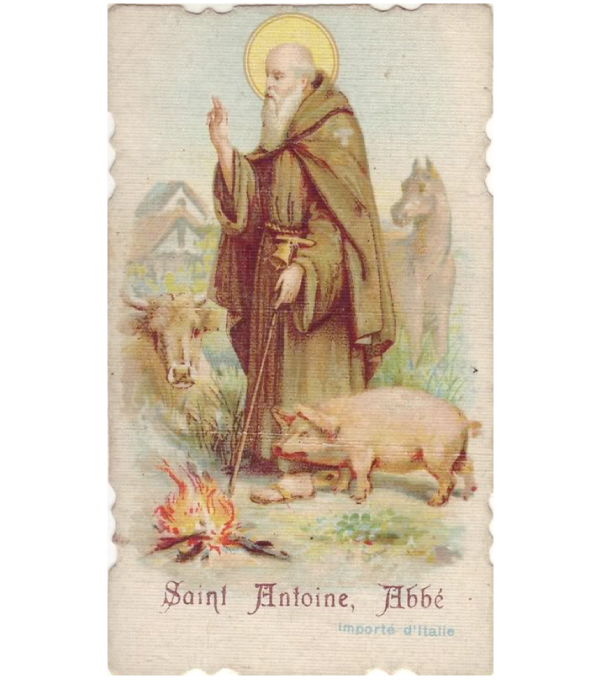 St. Anthony loved animals. Especially with potato salad. Laying aside the necessity of cheese (to each his own) there comes the conundrum of condiments. Ketchup or mustard? No, my friends, you want pub sauce. Now. NOW. The crowning moment. Put burger and sauce together. Put inside good buns (challah, brioche, whatever). Put inside mouth parts and into your belly guts. As to what to drink with your creation, well, that’s a whole other story in and of itself. In a pinch, my experience is that cheap canned beer cracked open at a hair above freezing makes an excellent dining companion. Until next time, comrades. God bless ‘Murica. And be the ball.